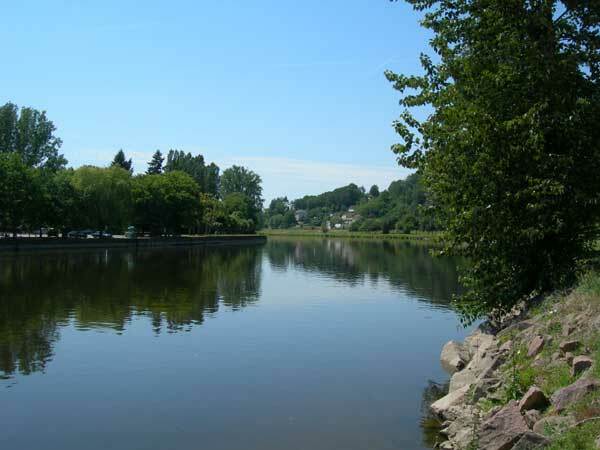 THE VIENNE. A river of central France, a left-hand tributary of the Loire, waters the departments of Correze, Haute-Vienne, Charente, Vienne and Indre-et-Loire.  Length, 219 miles. Rising on the plateau of Millevaches 14 m. N.W. 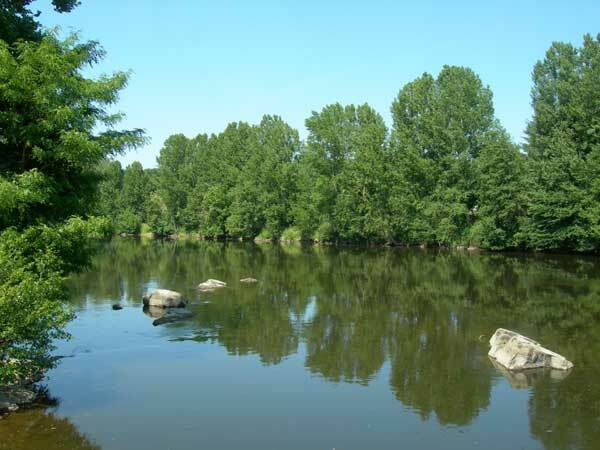 of Ussel (department of Correze) at a height of 2789 ft., the Vienne flows westward, between the highlands of Limousin on the south and the plateau of Gentioux and the Blond mountains on the north. 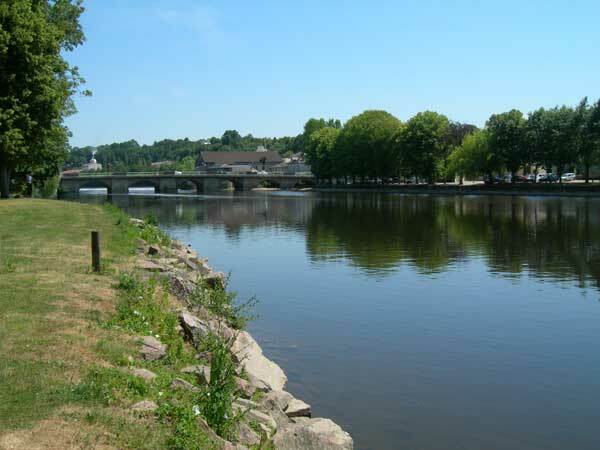 The first large town on its banks is Limoges (Haute-Vienne), below its confluence with the Taurion: in this part of its course the river supplies motive power to paper-mills and other factories. 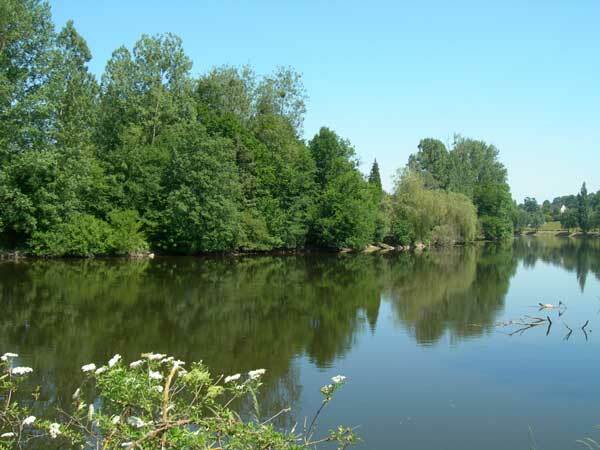 The river next reaches St Junien below which it turns abruptly northwards to Confolens (Charente). Flowing through a picturesque and now wider valley, and passing in its course the churches and chateaux of Chauvigny, the river proceeds to the confluence of the Clam just above Chattellerault. 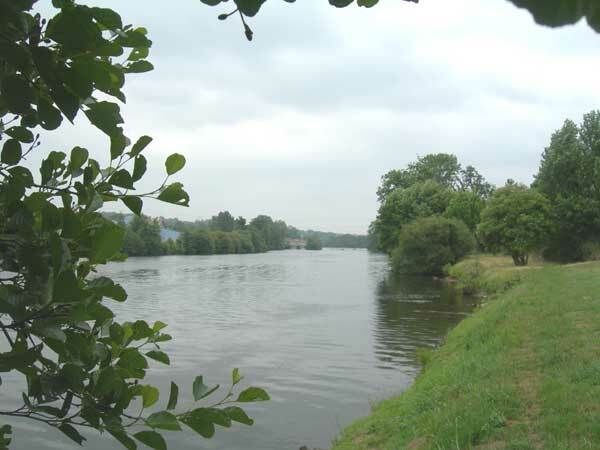 Below that town it receives ,the Creuse (rising on the plateau of Millevaches and reaching the Vienne after a course of 159 m.), and turns northwest, uniting with the Loire below the historic town of Chinon. 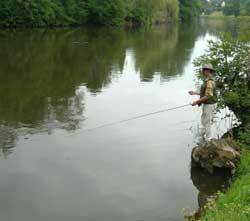 The Vienne has stocks of Pike, Carp, Perch, Zander, Chub, Roach, Shad with the occasional trout or two. 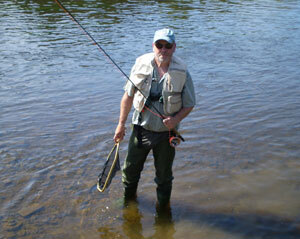 Being a category 2 river, you can fish all year around and use either fly or coarse tackle. This opens up opportunities for all anglers to have some excellent sport. 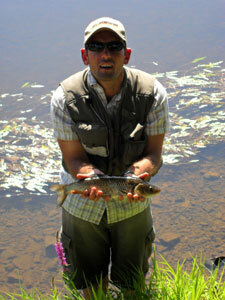 The river meanders through the countryside giving deep slow pools and smaller fast shallows. 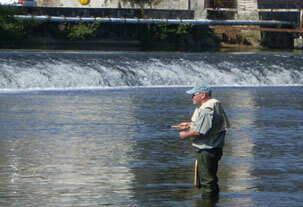 Fishing by the weir in summer is superb with a constant flow of water no matter what the river level happens to be. 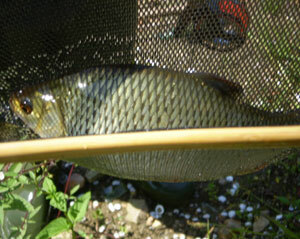 The chub and roach are very obliging with a small dry fly, emerger or very small nymphs fished up or downstream. 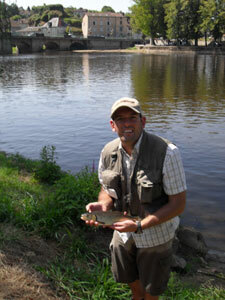 You can buy a day ticket for this beautiful river for just 10 euros, or a holiday permit for 2 weeks for 32.00 euros.